Quarterly magazine that I subscribe to. It has very clear instructions, basic sewing techniques (which I still refer to! ), and also very good photos. Making space in my bookshelves! is like brand new! No marks, no creases inside pages. All patterns are intact and never used. SGD$3 + SGD$3.50 (incl. local registered post). Local buyers can pay via local bank transfer or cash upon collection. Taiwanese publication in Traditional Chinese, translated from a Japanese craft book/magazine. Includes full size pattern sheet (intact, never used). Great for zakka fans! It has many inspiring projects that you make you want to go out and buy tons of linen! It has step by step instructions, with pictures, so you can follow the steps rather easily if you are not good at reading Chinese like me! is like very good! Very gently browsed and there are no markings or creases. SGD$5 + SGD$4.00 (incl. local registered post). Local buyers can pay via local bank transfer or cash upon collection. Zakka publication originally in Japanese but translated by a Taiwanese publication house into traditional Chinese. Many many kawaii projects for you to try or be inspired by! SGD$5 + SGD$4 (incl. local registered post). Local buyers can pay via local bank transfer or cash upon collection. a great craft book, regardless of sewing skills (or lack of). loads of ideas of what and how to make gifts out of your fabric stash! is great! No marks, no creases inside pages. I take very good care of my books. This book’s sleeve jacket is little creased at the front top. SGD$15 + SGD$4.00 (incl. local registered post). Local buyers can pay via local bank transfer or cash upon collection. very very cool kit. 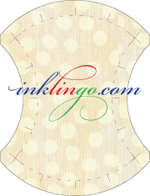 Includes 6 ready-to-embroider folded cards, needles and embroidery floss. Robe de Mariée 2014These become ‘mini work of art’ when stitched! The cards have simple and clear printed pattern lines for you to follow. While I had grand plans for these cards, but I think they will be great for someone who loves to give cards to friends or can frame these at home! is brand new! The book store has wrapped the kit up, Robe de bal blanchealthough there’s a hole in the wrapper, everything is intact and in good condition.